Want to build financial independence and passive income? Have you paid off debt with Dave Ramsey and are now looking to build wealth? Are you frustrated because you want to quit your 9-5 job and build passive income but you don’t know HOW to do it? This Inc Magazine Top Business Podcast teaches you how. No gimmicks, no fluff. 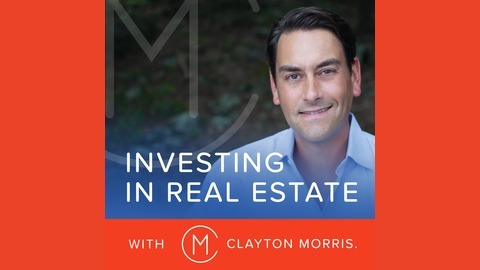 Hosted by Morris Invest Founder Clayton Morris, this podcast publishes three times a week and has a laser focus on buy and hold rental properties in order to create passive income. Clayton retired from his 9-5 job at 40 years old and teaches you his exact step-by-step methods for acquiring rental real estate, building net worth, and accelerating your financial freedom so you can experience financial independence. This podcast utilizes expert interviews, case studies with normal everyday investors, and Clayton's own methods for achieving passive income. If you want to learn how to acquire turnkey rentals, discounted properties, passive income and true legacy wealth then subscribe today. We're going to help you chart a course to build passive income and build legacy wealth for you and your family. If you're a fan of Morris Invest, Mr. Money Moustach, Planet Money on NPR, The Dave Ramsey Show, BiggerPockets Podcast, Grant Cardone, Epic Real Estate Investing with Matt Theriault, Listen Money Matters!, The Tai Lopez Show, or The Rich Dad Radio Show with Robert Kiyosaki, then you're going to love this show. .
Where do you get your advice about building wealth? Financial advice can be valuable, but it’s important to make sure it’s coming from a knowledgeable and trusted source. 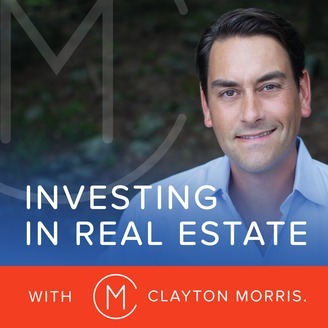 On today’s episode of Investing in Real Estate, I'm sharing the truth about financial advisors, and how to find solid advice. You'll learn about the fees inside your accounts, and how to get more educated in this area.